St. Louis’ brewing legacy does not start nor end with Anheuser Busch. Not by a long shot. That is exactly what is happening with the rebirth of the famed Griesedieck family brewery. The legend of Griesedieck dates back to 1870 when three brothers, Anton, Franz, and Heinrich traveled to St. Louis in pursuit of the American Dream. In 1907, nine St. Louis breweries came together and formed a new brewing organization called the Independent Brewing Companies, led by Henry Griesedieck Jr. But IBC wasn’t independent enough so having a natural distaste for big breweries, and wanting his sons to have a brewery, Henry Griesedieck Jr. split from the IBC in December 1911. 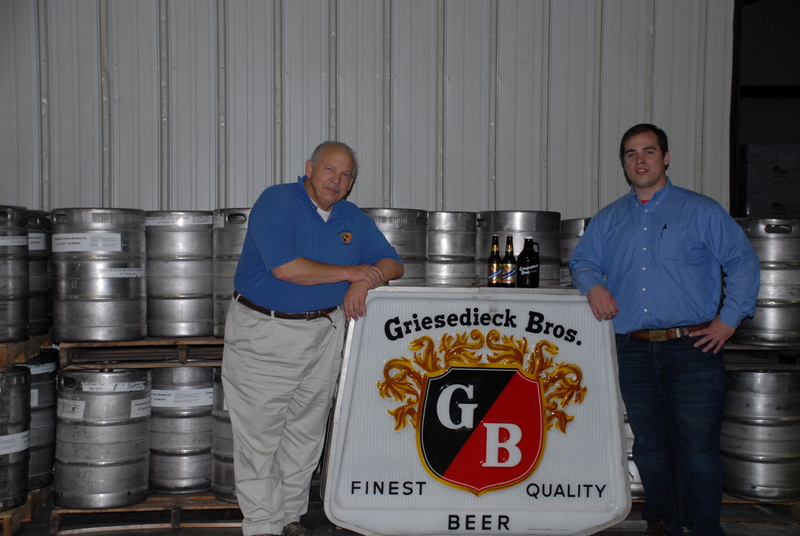 He created the Griesedieck Brothers Brewery. The brewery operated through most of the 20th Century before selling and closing its brewing business in the late 1970s. But their history, of which we will focus on more in depth in another article, is rich, lively and back as new generation of Griesedieck brewers are prepared to take the family name into this new brewing century. Robert Griesedieck and his father Raymond. Courtesy of Griesedieck Brewing. At the helm, Robert Griesedieck and his father Raymond are moving forward with opening a new brewery in St. Louis in 2017. The brewery, slated to open in June of 2017, will be located at 1240 Switzer Avenue in the Baden neighborhood in north St. Louis. The 23,000 square foot space will allow Griesedieck to brew upwards of 1,000 barrels of its beer as well as to open a new tasting room where they will be surely display the family’s collection of beer signs, advertisements and cans collected over the past century. Right now they are brewing three beers, a Golden Pilsener, an Unfiltered Bavarian-Style Wheat and a Mild Pale Ale. According to your family history, Henry Griesedieck Jr. created the first family brewery because of his “natural distaste” for big breweries, which in some funny way could make him one of the founding fathers of the Craft Brewing movement. With this fun fact in mind please explain more on your goal to bring “heritage” to craft brewing in St. Louis. Today there are over 4200 breweries in the United States, over 50 in the St. Louis Metro region alone, and in both cases more breweries in planning. What makes being a heritage brewery different from others? For us, it’s the combination of 1) a direct lineage to pre-Prohibition Era founders, and 2) utilizing their recipes and techniques. Can you give any examples of the beers described as “beers my grandfather and his brothers would have been brewing over 100 years ago.” — What can we expect from GB next year? Before my great-great-grandfather Henry Jr. opened the original Griesedieck Brothers Brewery in 1911, he and his brother Joseph operated the “National Brewery” at 18th & Gratiot. Among the beers they produced, they made White Seal, Pilsener (we brew that now), Export (a Dortmunder), Muenchener (a Helles), Extra Pale, Standard, and additional beers. They used local ingredients to produce beers for their local market. If anything, we expect to brew a greater variety. Do you foresee GB sticking with beers close to the Lager genre or do you see your brewery getting more experimental with new styles and flavors. Our forefathers were Prussian-Americans, from Westphalia for that matter. They emigrated to the United States in 1869 and before Reiheitsgebot was enacted nationwide. Thus the Griesedieck family didn’t have to follow this law. Westphalia in fact had heavy influence from the Belgians, French, Dutch and the Catholic Church itself. So there was quite a bit of brewing diversity that we expect to reintroduce moving forward. We may dig into the variety of this part of our heritage, but they’ll definitely start in small batches. 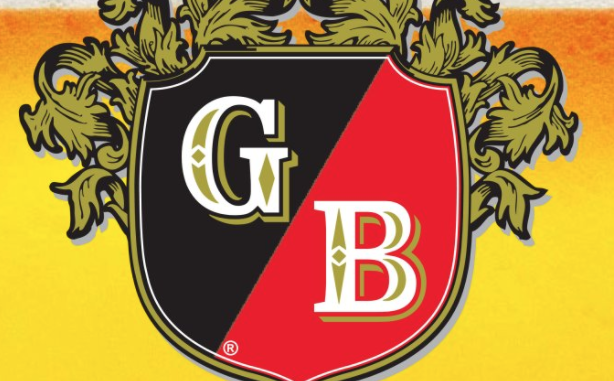 Showcasing the heritage of the Griesedieck name while brewing great beer!